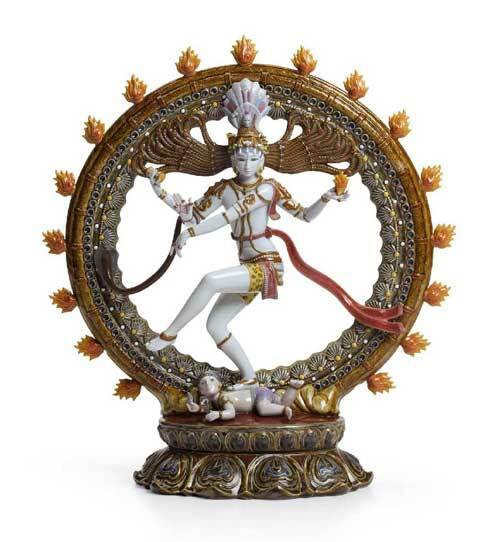 In the Nataraja Dance form, Hindu God Shiva is depicted as dancing on a dwarf demon. This demon is known as Apasmara Purusha – the demon of ignorance. Apasmara Purusha has the face of a demon and body of an infant. He is crushed by the right foot of Nataraja. The word Apasmara means forgetfulness and symbolizes the ignorance that makes us lose our balance and consciousness and run after sensuous things. Legend has it that this demon used to trouble human beings, saints and devas. Human beings prayed to Shiva who crushed him under his feet. Symbolically, Shiva standing on Apasmara Purusha is asking us to crush laziness, ego, jealousy, envy and hatred and realize the Supreme Truth. By this self realization one attains bliss on earth.